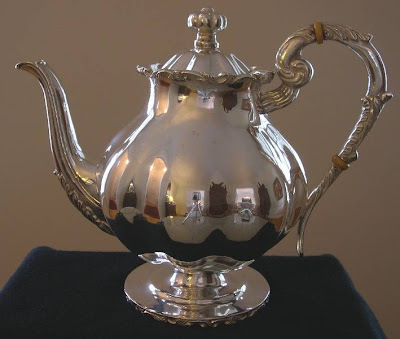 Silver Chatter: What Exactly is Hollowware? So, "hollowware" (spelled "holloware" by some) pieces may not contain silver at all. Always understand precisely what a piece is made of before you buy it. If it seems to be silver, is it sterling or silver plate (or something else)? If it's sterling, is it solid sterling or weighted with something internally? Above is a picture of a sterling pot, an example of hollowware. 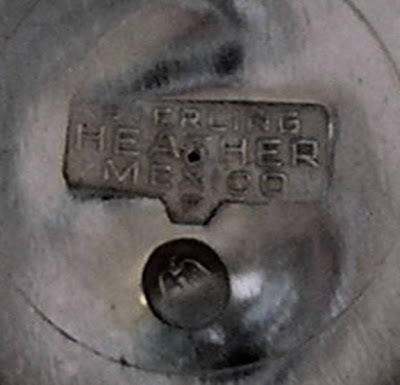 Below is a close-up picture of the bottom where you can see the word, "sterling". Some people include items like serving trays within the hollowware definition. Although there is really nothing seriously wrong with doing this, it does not conform exactly to the definition so, again, make sure you know what the pieces are specifically.